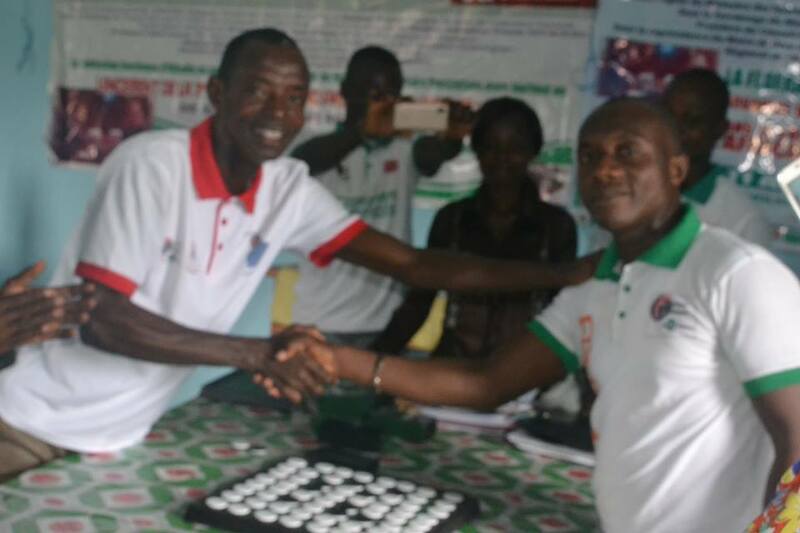 ​The Ivorian Federation of Othello is pleased to announce that it has organized the Grand Prix Othello in 2016. Winner of this tournament was the number 1 player of Ivory Coast, Ourega Loh Jeannot. He won 55-9 against his challenger Kobehi Troupa Guy Hervé. 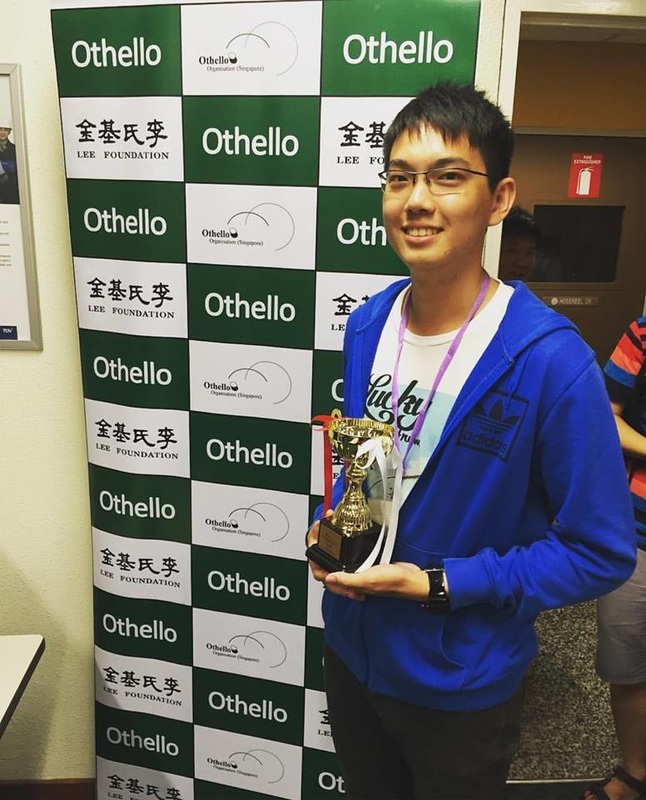 Ourega Loh Jeannot will be accompanied by Kobehi Troupa Guy Hervé and two other players at the World Othello Championship in Japan. 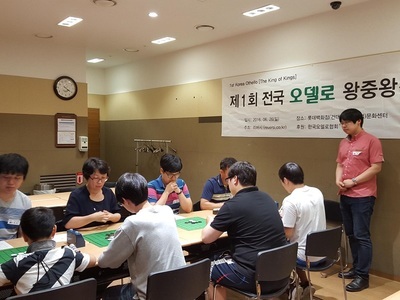 Of the eight players, two players scored 5 points and qualified for the final: Jaeyoung Sohr and Jihoon Chung. Jaeyoung Sohr lost against Jihoon Chung in round 3 but he won the final 16-48. 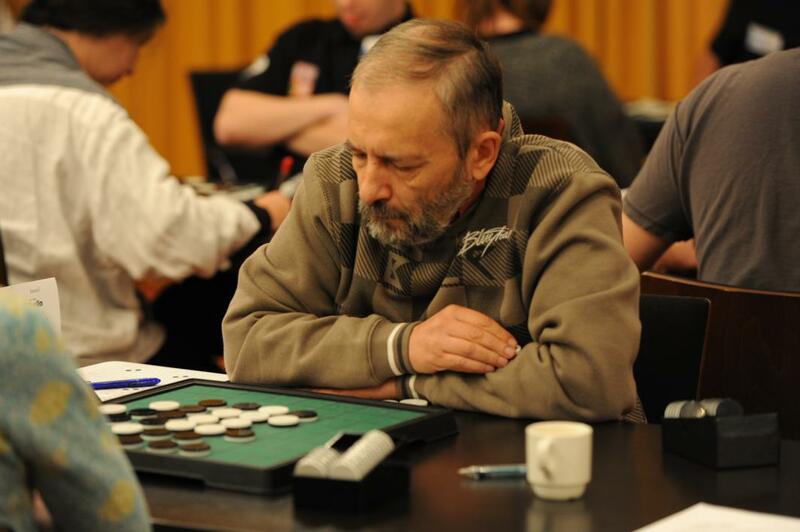 If you look at the WOF World Rating, Thierry Lévy-Abégnoli was the top-player at this tournament. 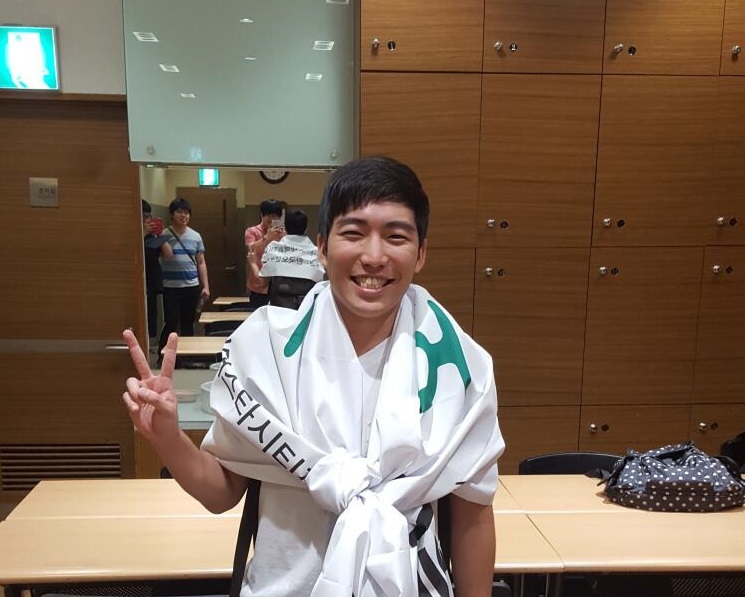 But only two weeks ago at the final of the Grand Prix 2016, he lost two games against Bintsa Andrianif. Maybe he was better prepared, he won all his games this time. Runner-up was Bintsa Andriani and third place for Marc Bertrandias. 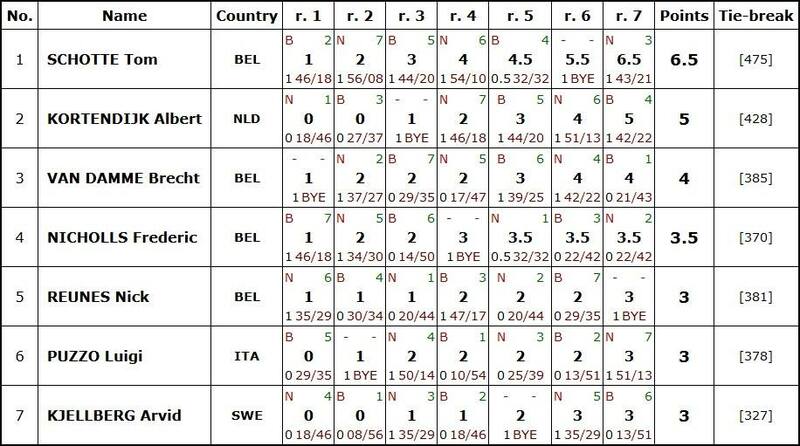 The qualification cycle for selection of the French team for WOC in Mito finished last week. This tournament will be counted for the next year GP 2017. Andrey Malnev won the Israeli Championship last year. Leonid Shiffman was runner-up with the same score as the winner but lesser discs. This year the title goes to Leonid and runner-up is his son Ilya. 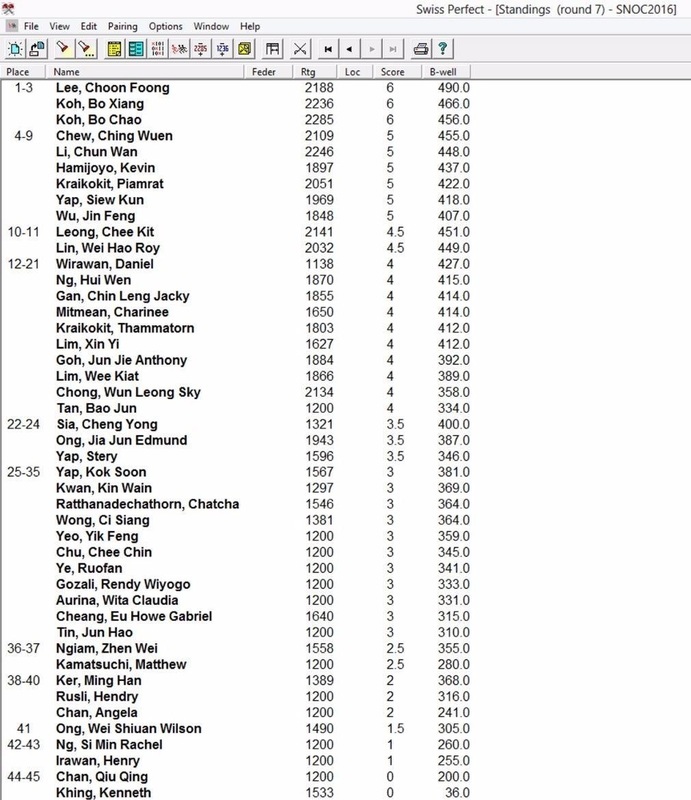 Meng Joo Lai and Stanley Ooi qualified for the final with 5 points. 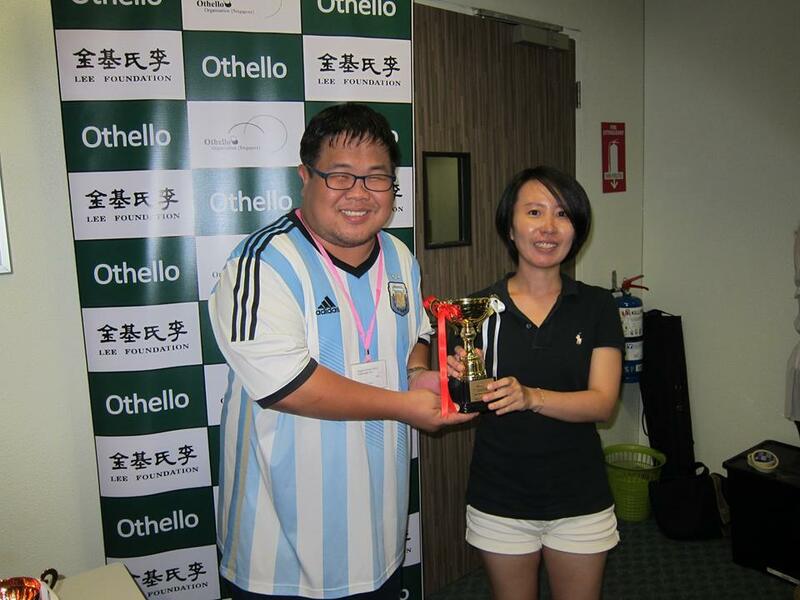 The final was a 2-0 victory for Meng Yoo. 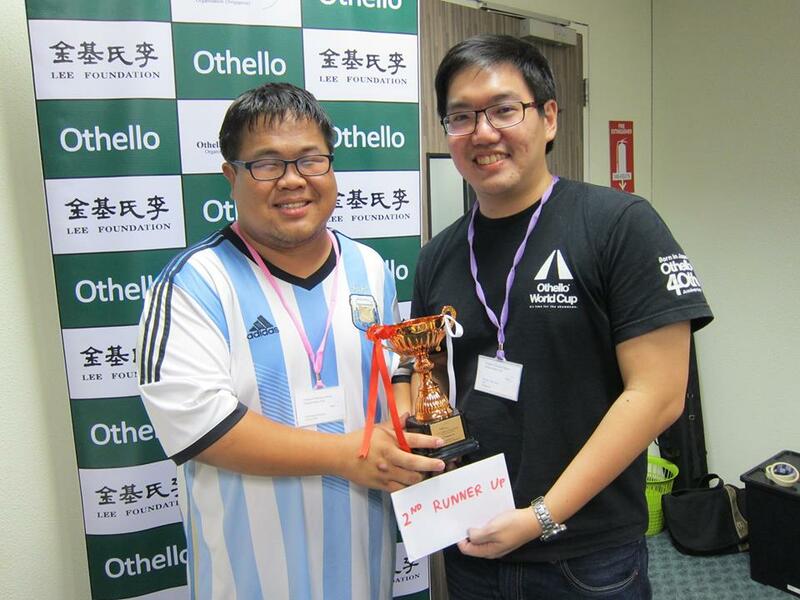 The top three players and the top female player (for Malaysian only) qualified to represent Malaysia at the WOC. 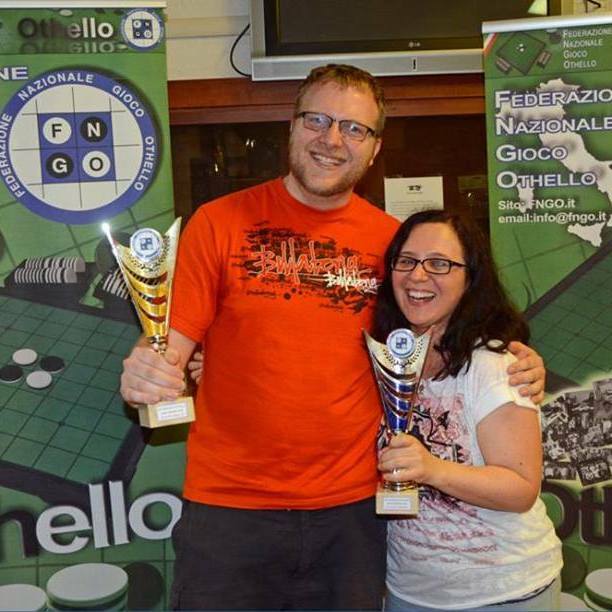 Last year the Italian Othello Championship was won by RoBerto Sperandio. 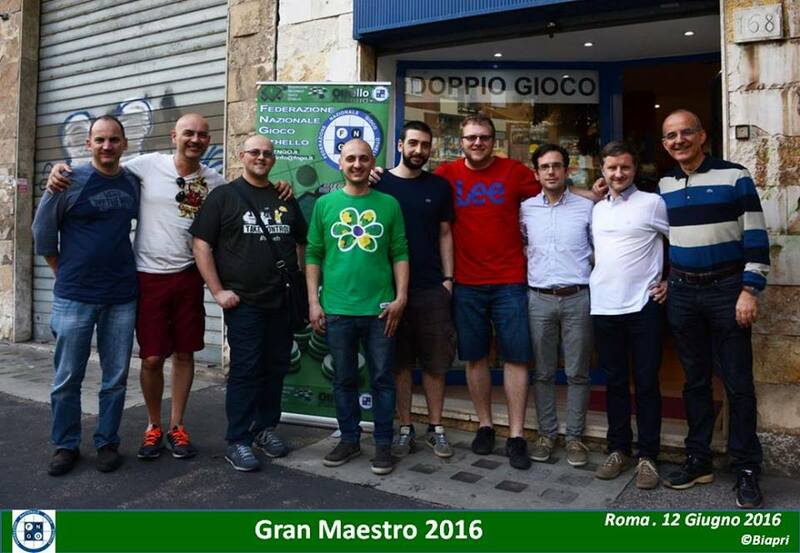 Top scorers in the Italian Hall Of Fame for National Championships are Francesco Marconi (9 x), Michele Borassi (8 x) and Paolo Ghirardato (5 x). 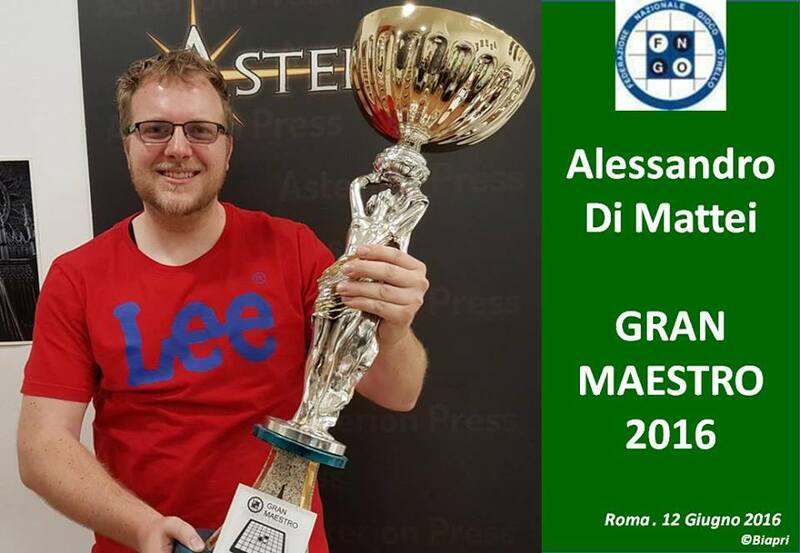 As I checked the list I was surprised to see Alessandro Di Matei never won the national title. He was runner-up 6 times and finished third four times. 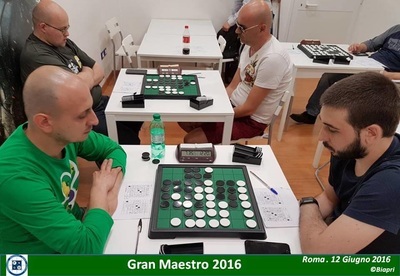 He recently won the Italian Gran Maestro tournament. Maybe he is now ready for his first national title. Francesco Marconi badly needed a win in round 7 against Gianluca Ilacqua to win a spot in the semifinal and stay in the race for his 10th title. It was a thriller game that finished 33-31 for Francesco. Congratulations to Valentino Giannini, who won the junior under 14 trophy for the second year in a row. Valentino qualified for the World Junior Championship in Mito. The semifinal Di Mattei - Marconi was a formidable battle. 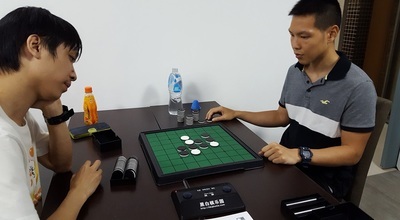 Both players won a game and it all came down to the third match. Such a close call, the third game was a draw! 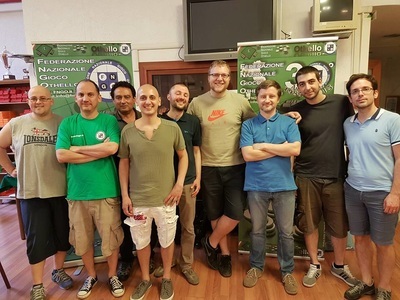 Alessandro won 2 discs more in the two prededing games and qualified for the final. 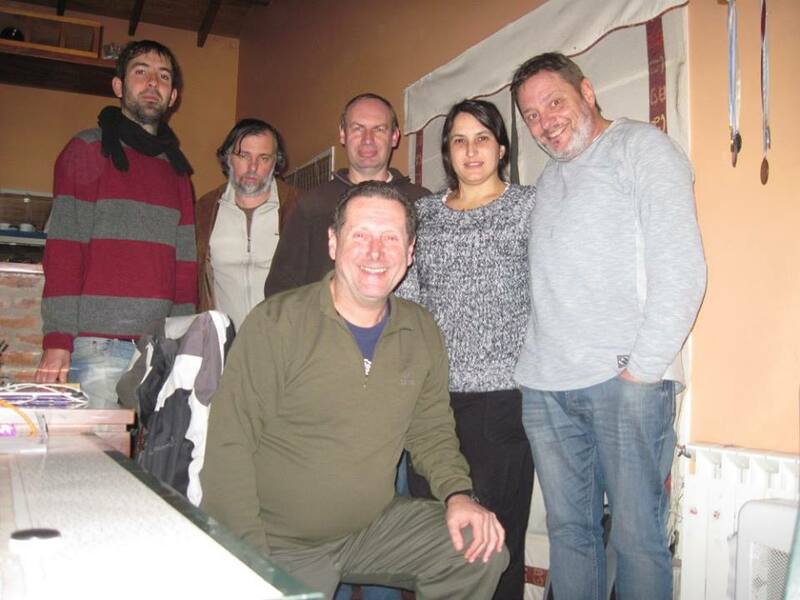 No 10th title for Marconi, he will have to try again next year. 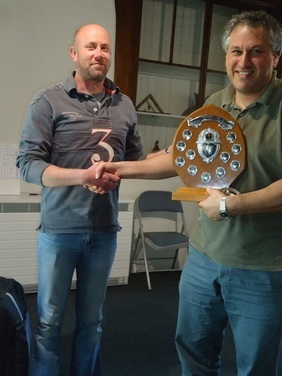 The playoff for third place was won by Domenico Palladino who won 33-31 against Francesco Marconi. 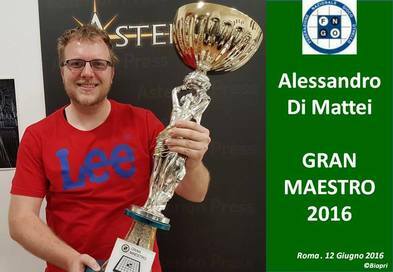 Alessandro Di Mattei really went for the title in the final. Paolo Scognamiglio who finished fourth last year had to be contented with second place. 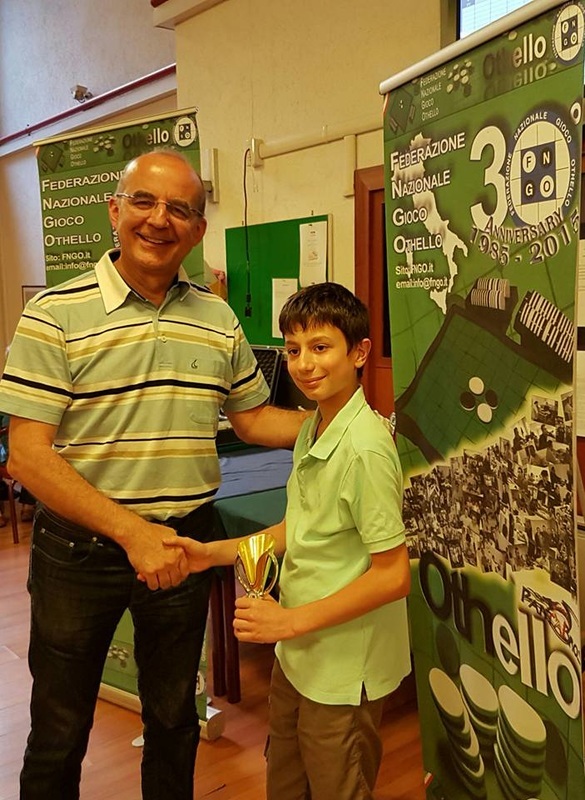 Alessandro won the final 2-0. Bravissimo Alessandro!!!! 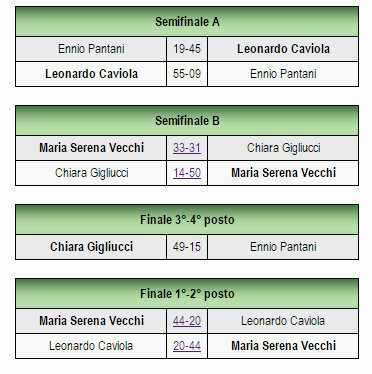 A short video by Biagio Privitera of the semifinals and finals can be found here. semifinal game 3: which player has a glass jaw? Away with strategy, go for the knockout! Tom Schotte won the Waarschoot Othello Open 2016. 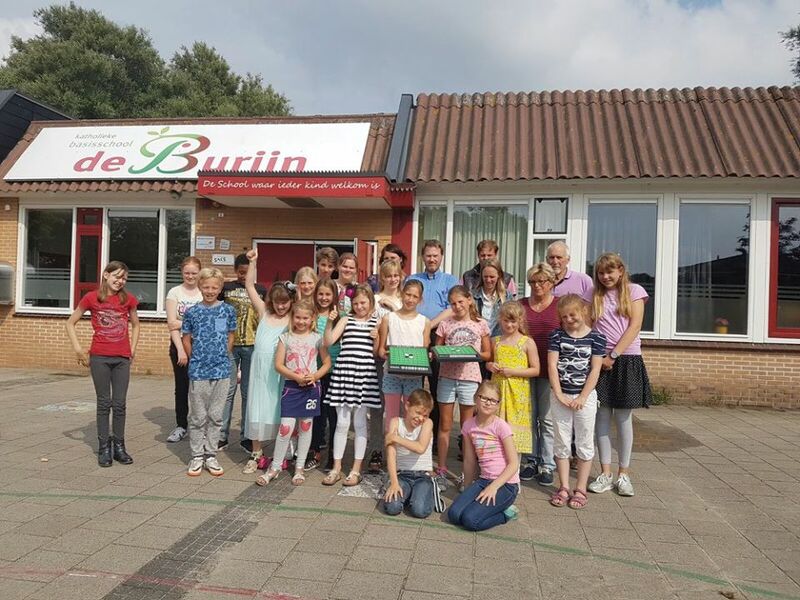 There was a final after the Swiss which Tom won against Albert Kortendijk (23-41). The tournament for beginners (with 3 new players!!!) was won by Annie Flockman, who remained undefeated. She made her come-back after 5 years. There was another final between Annie and the last player of the A-tournament. 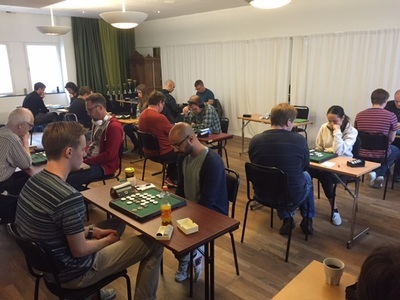 Arvid Kjellberg won convincingly (12-52). 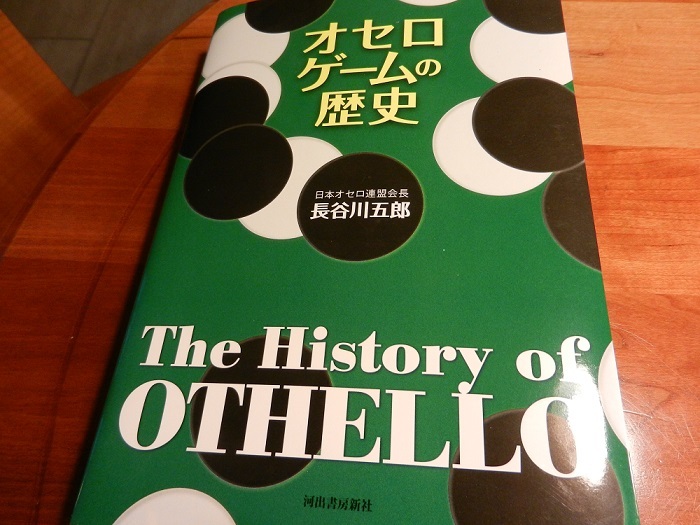 For thirty years I have been a Othello enthusiast. Othello is a game that I often play and I have worked with it a lot the last 30 years. 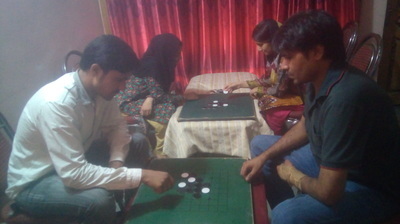 It is a fantastic game in its simplicity. The story of Othello and how it became a worldwide success is also very interesting. 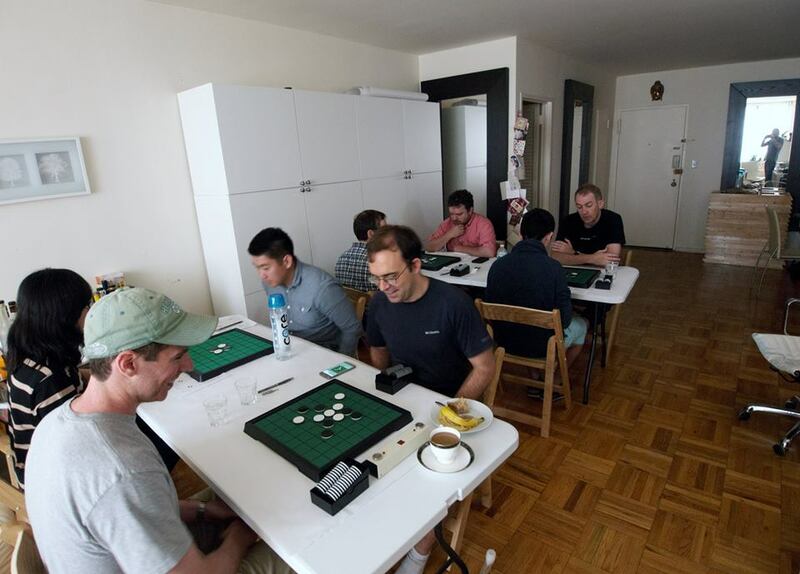 Brilliant business moves in the gaming market has made Othello one of the best selling games in the world! And the founder of all this was a man named Goro Hasegawa. He created the product Othello and found ways to make the game well known all over the world. 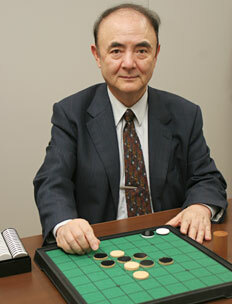 Since its inception in 1973, Hasegawa enthusiastically engagera people to play Othello. 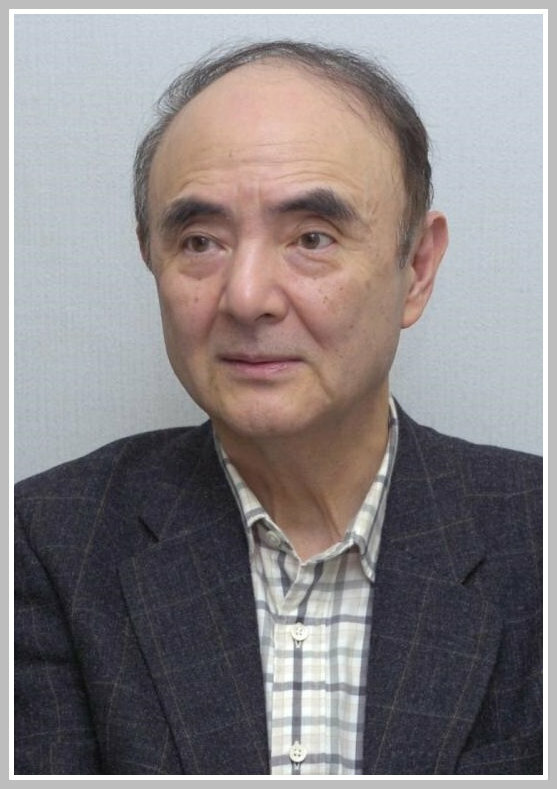 He started 1976 the World Othello Championship and was since its inception president of the Japanese Othello Association. 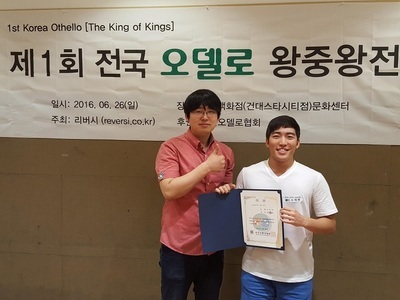 I have visited Japan and Othello competitions and was impressed at the enthusiasm Mr. Hasegawa showed all the players who participated in tournaments. Now Goro Hasegawa have left us. And the Othello World has lost an legend. 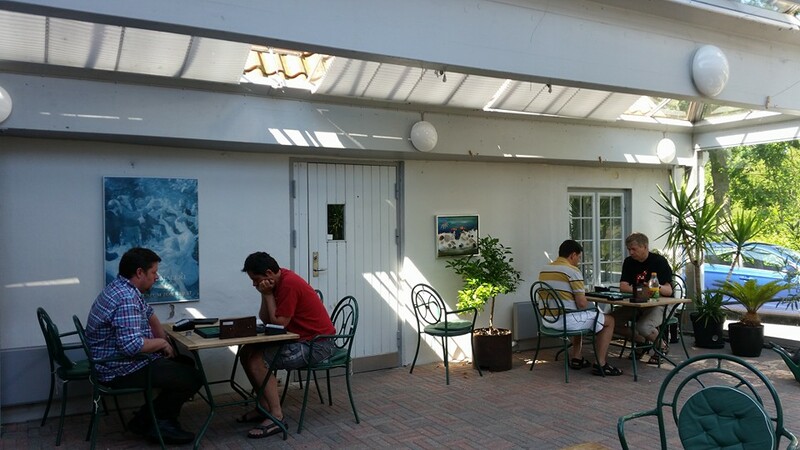 World Cup in Mito, Japan, Goro's hometown, will feel a little emptier without him. 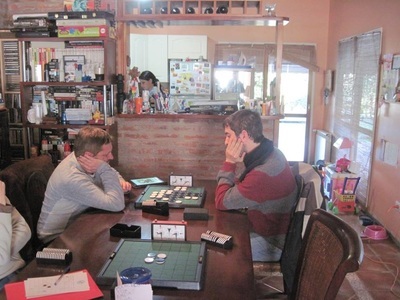 I met Goro in Mito last year and he was very happy and excited that the World Cup in Othello, 40 year anniversary, will be arranged in his hometown. I and many others will miss Goro Hasegawa. My thoughts go to Goro Hasegawas wife and family. 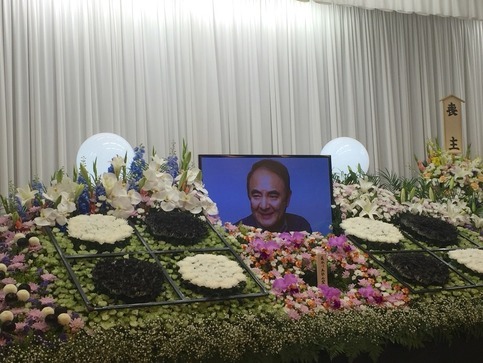 And to all Othello players in Japan who have lost a true Othello friend. The 2016 European Grand Prix is well on it's way. Five stages have been played and two more to go, Stockholm and Amsterdam. 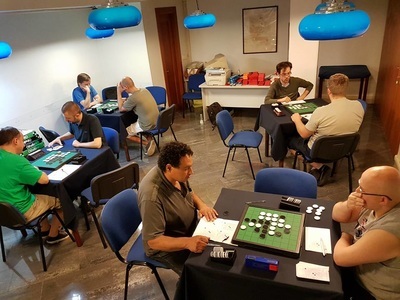 The Warsaw tournament was the last one played and Takuji Kashiwabara analysed his game in round 7 against Francesco Marconi for you. Great to read how the mind of an Othello Champion works. Check his article here. 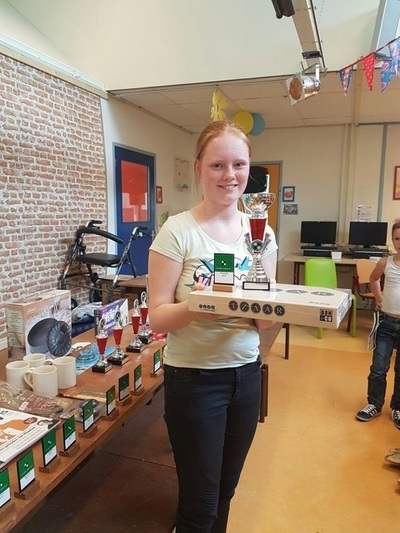 Nicky van den Biggelaar won his 8th national title with 7 wins, no losses. Second place for Roel Hobo and third place for Linda Praseptyo. 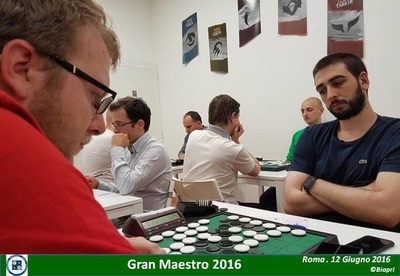 Roel Hobo won the Dutch Grand Prix 2016. Nicky had to to dust off the trophy that was his for twelve years. The Grand Prix trophy for ladies went to Linda Klatten. 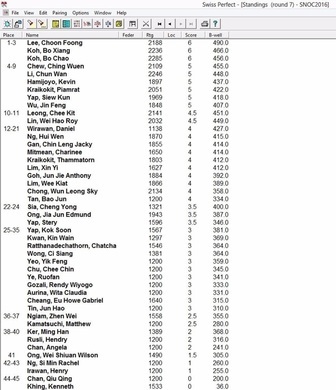 A fourth place for Maverick Lam after the 7 rounds. But from then on he was on fire. In the semifinal he defeated Yan Song 56-8. The final was also a clear win. Well done Maverick! 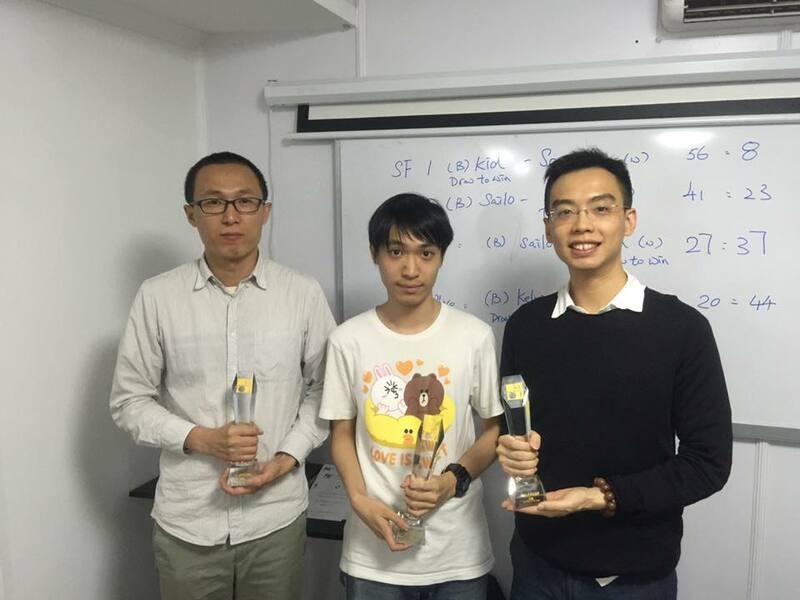 This year's Hong Kong representatives to WOC will be Maverick Lam, Li Chun Wan, and Kelvin Yang. 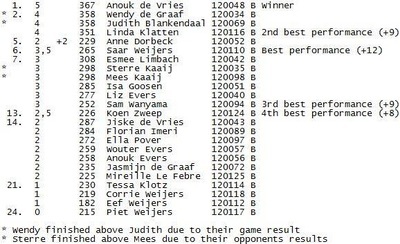 ​Karsten Feldborg made it again to the final, but wasn't able to claim a 18th title. 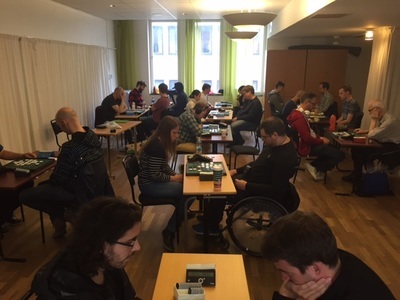 Erik Lund Jensen who lost the final in 2015 took his revenge and added a 7th Danish title. 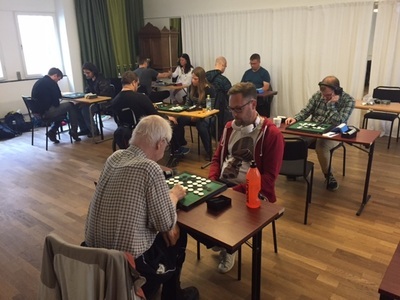 Erik Lund Jensen was Danish champion before in 1988, 1998, 1999, 2000, 2009 and 2014. Mathias Andreasen won the junior championship (Daniel Hoegh was the other junior), Mikael Mårtensson won the best amateur prize (Nordic rating below 1100 points). Karsten won the Danish Grand Prix 2016, Kim J. Nielsen is the runner-up and Henrik Vallund ended 3rd. 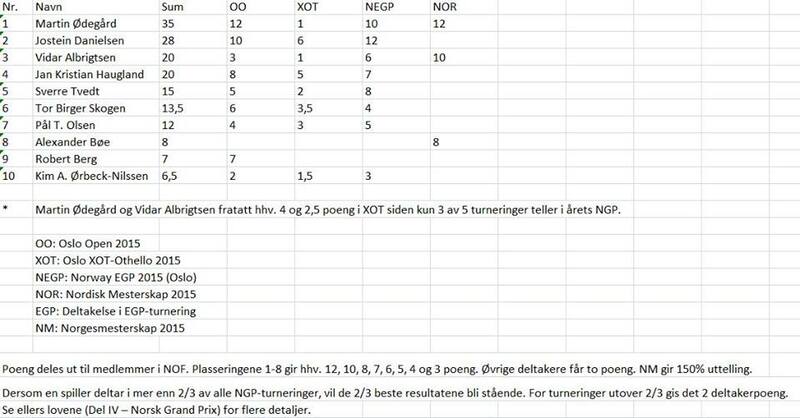 The Danish WOC 2016 team will be: Karsten Feldborg, Henrik Vallund, Kim J. Nielsen and Solrun Stokke as the female participant. Defending champion Brian Rose won the US Nationals 11 times, his first National title dates back to 1981. 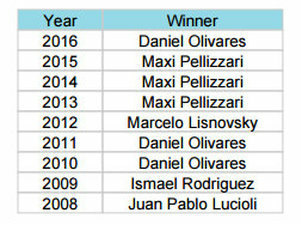 Ben Seeley won 6 times, he won his first title in 2001. 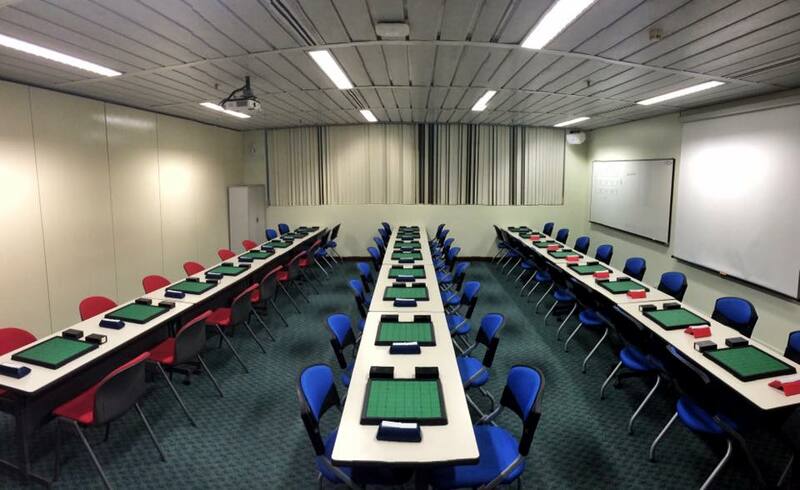 Remark: some of the openings where played XOT. ​Brian Rose did not play the second day of the tournament and Yoko Sano stepped in. 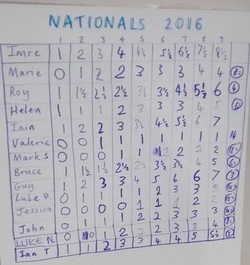 Ben won all his games and claimed his 7th US national title. 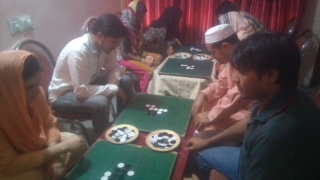 Muhamed Ishfaq wins another Pakistan Othello title. Miroslav Voráček won the final against Tomáš Douda 2 - 0. Ivo Rybárik ended 3rd and Matyas Racek got the 4th place. Andrea Vernerova 5th and Sevara Vorackova 6th. Jeroen Everts and Niklas Wettergren had to play a play-off after the 7 rounds for a spot in the semifinals. 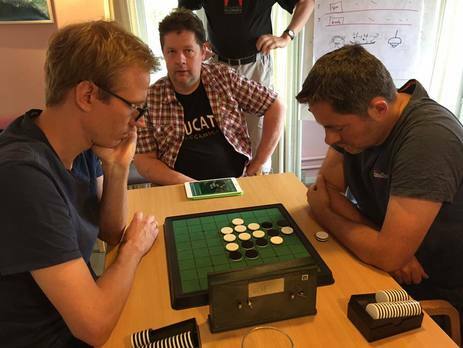 Jeroen won 31 - 33 against Christian Gårdebrink and Niklas won 50 - 14 against reigning champion Marcus Frönmark. 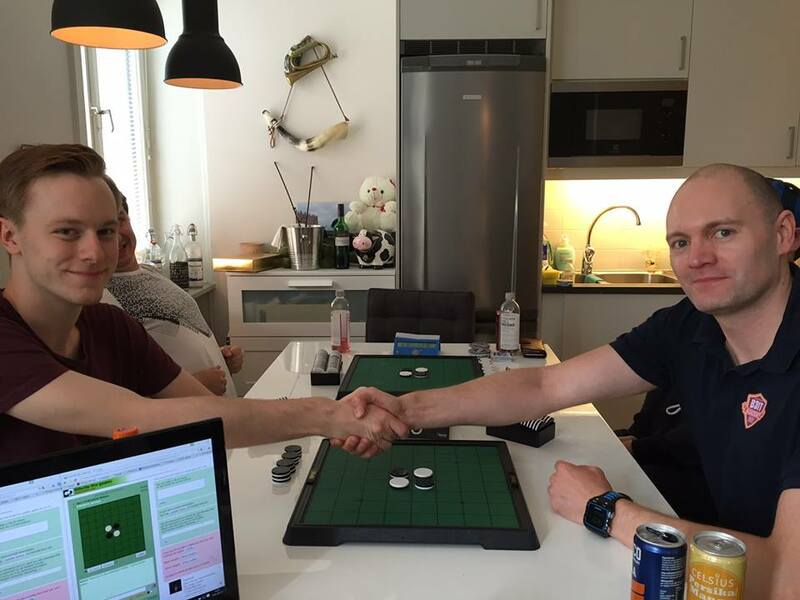 Göran Andersson and Oskar Eklund qualified directly. The last time Daniel Olivares won the Argentine National Othello Championship was in 2011. Runner-up Alejandro Coello was just half a point behind the winner. 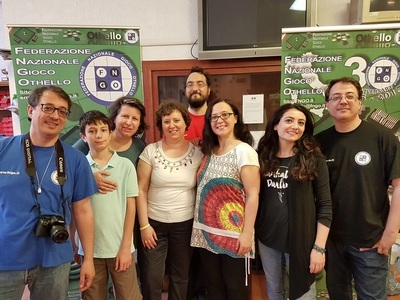 This Othello summer event started in 2002 and this year is the 15th edition. 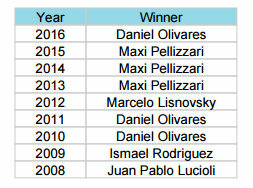 The list of winners since 2002 can be found here. 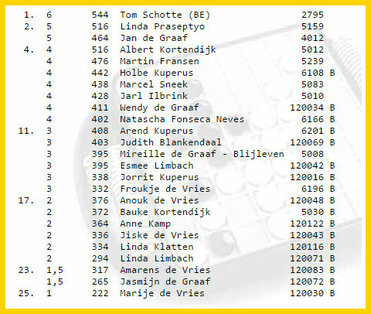 Last year the winner was Belgian player Tom Schotte. The Dutch and Friesian players could stop Tom from prolonging his title. Great play by Armaud Delaunay on the first day of tournament. 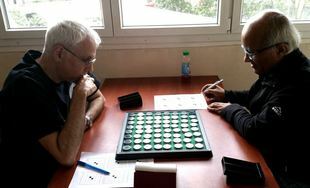 He lost just one game and that was in round 8 (DELAUNAY Arnaud 23-41 LÉVY-ABÉGNOLI Thierry). 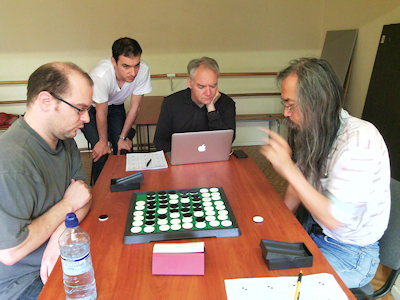 On second place with 5 points after 8 rounds are Emmanuel Lazard and Takuji Kashiwabara. 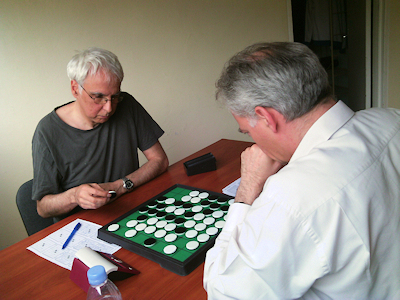 Emmanuel lost to Thierry Lévi-Abégnoli, Arnaud Delaunay and to Takuji Kashiwabara. 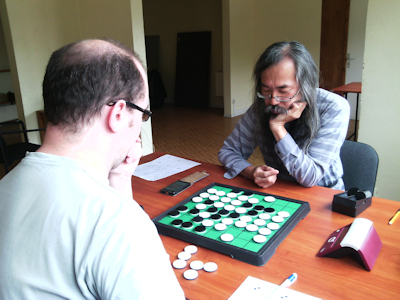 Takuji also lost to Thierry Lévi-Abégnoli and twice to Arnaud Delaunay (round 2 and round 7). Thierry Lévi-Abégnoli started the tournament well with wins against Kashiwabara and Lazard in round 1 and 2, but managed to collect just 2 more points in the following 6 rounds.The last round of the first day was a win against Delaunay. 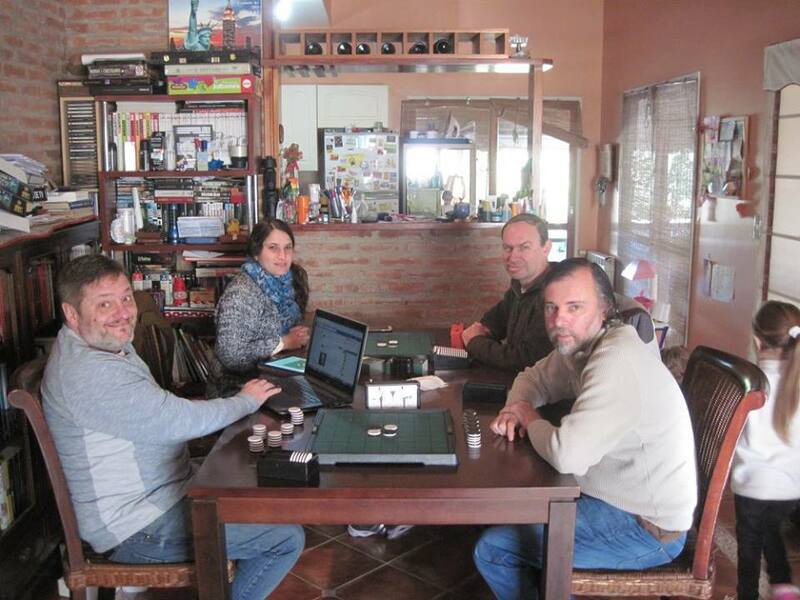 I can not find his other win on LiveOthello but it was in round 5 against Fouad Touchene. Arnaud Delaunay had mixed results in the two rounds on Sunday. 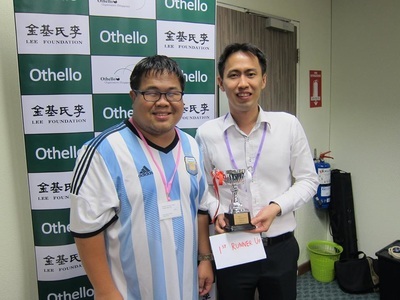 He won against Emmanuel Lazard and lost against Bintsa Andriani but qualified for the final. 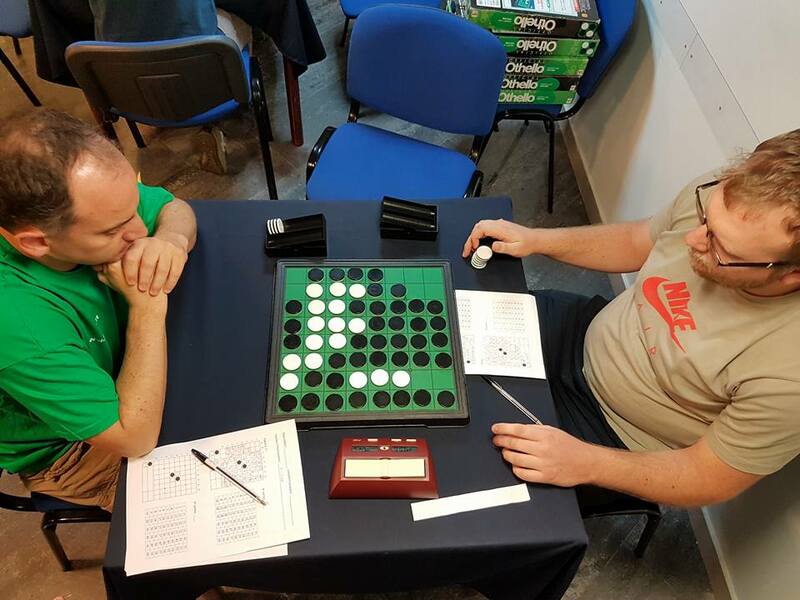 Takuji collected 2 more points against Fouad Touchene and Emmanuel Lazard. 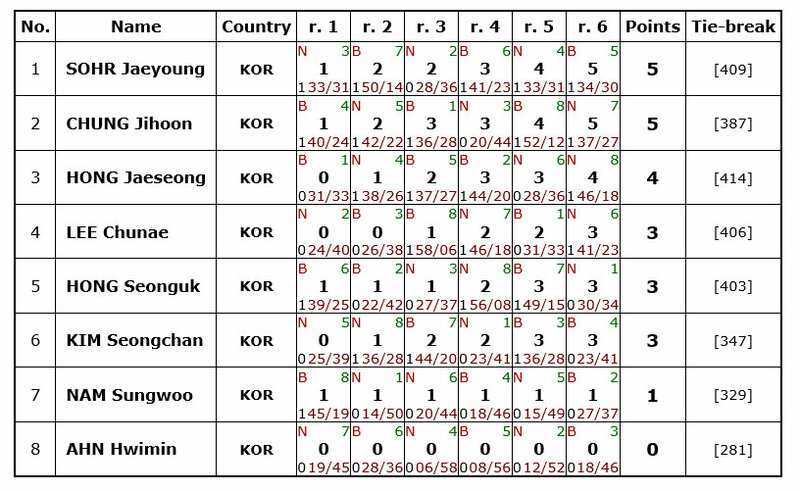 No points for Emmanuel and so Takuji qualified for the best of 3 final. ​Matthew Vinar won the Australian Nationals for the 10th time last year. 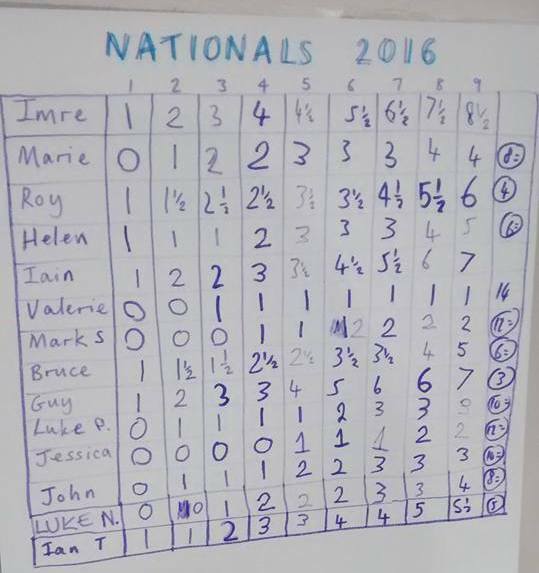 A list of Australian National Champions can be found here. Matthew aimed for his 11th title and succeeded. 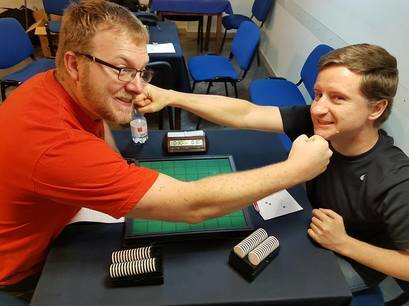 Matthew Vinar, Scott Hughes and Sam Milankov won 4 games in the rounds. Bad luck for Sam Milankov who failed to qualify for the final. Sam had defeated Matthew in the rounds and according to Matthew their games are always fairly close. The final was a very clear victory for the 11th time Australian Champion: 46-18. This Championship is the final tournament in Norwegian Grand Prix for 2015/2016. 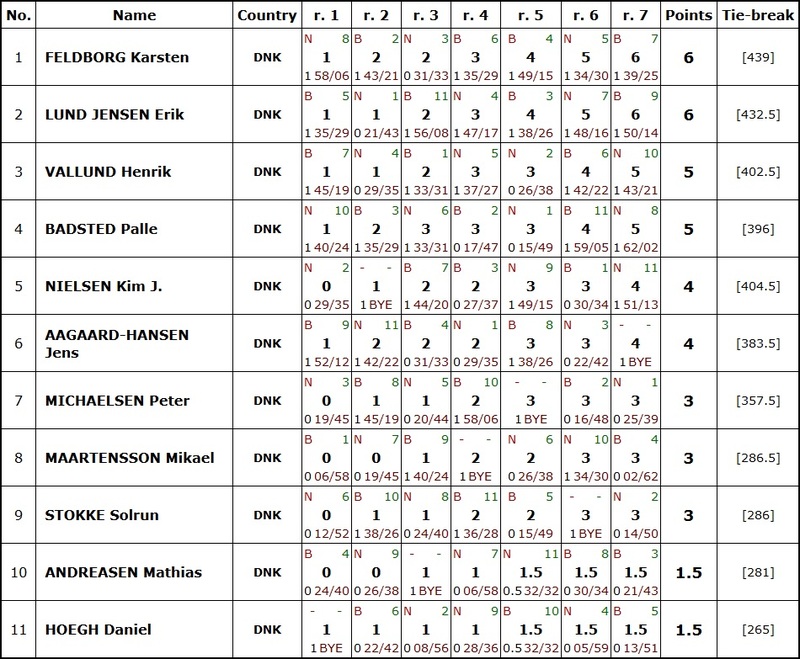 Grand Prix result and National Championship count for qualification for team Norway at the World Championship in Mito. Last weekend the OOS organised a very succesful 9th Singapore Schools Othello Championship. 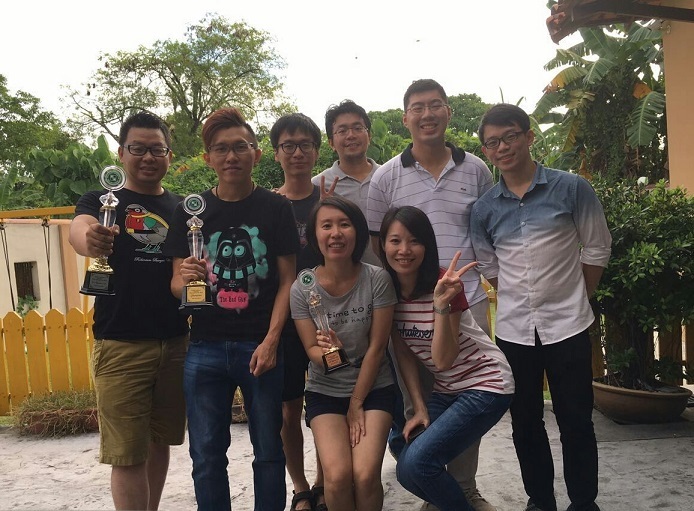 The National Championship did not match that tournament in numbers of players, but the Singapore players showes us some very exciting games. 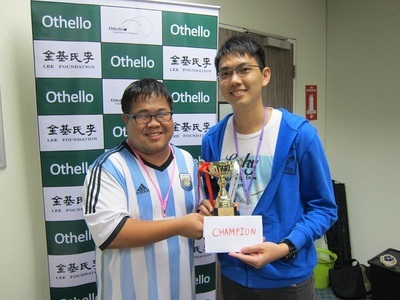 The 9th Singapore National Othello Championships is currently ongoing, and we have Facebook live streaming for board 1, as well as Semi-finals and Finals later! This competition features top players from various countries such as Alex Koh (2285, SGP), Li Chun Wan (2246, HKG), Piamrat Kraikokit (2051, THA), and Yap Siew Kun (1969, MYS). 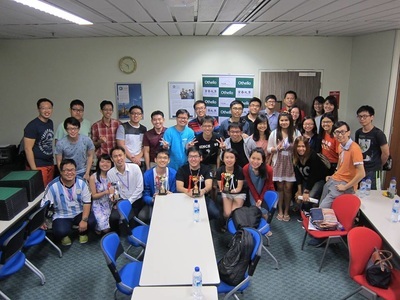 Do join us at https://www.facebook.com/groups/othellosingapore/ The next round will start at 1.30pm GMT+8 while Semi-Finals will begin tentatively at 3.45pm GMT+8. See you there! 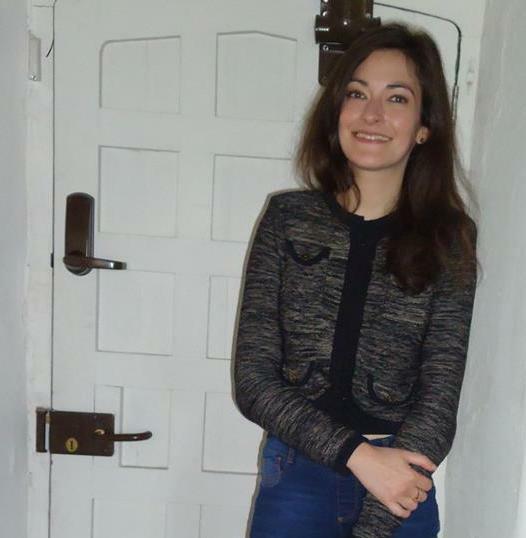 The event will take place at Newcastle Castle on Saturday 4th and Sunday 5th June 2016. 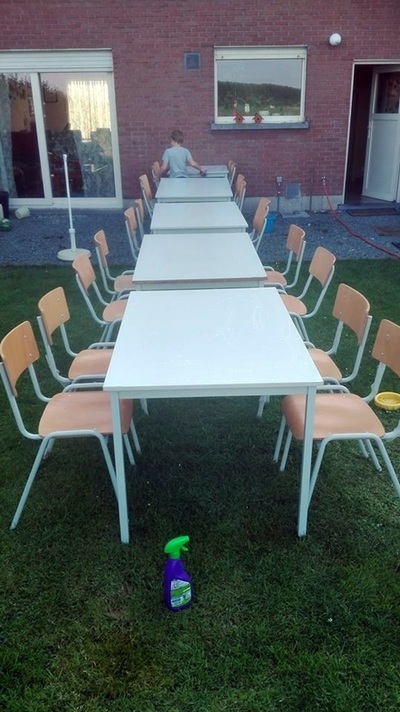 The event starts at 13.00 and is free for first time players. 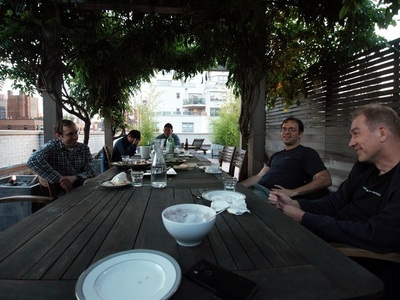 A group meal out locally on the Saturday evening is planned. 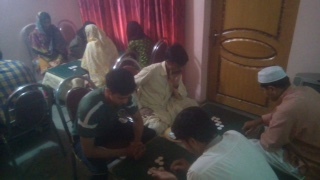 Play on the Sunday starts at 09.00, i.e. clocks will be started. Last year the Championship was won by Imre Leader, he won the Championship 11 times (1983, 1986, 1990, 1994, 1999, 2001, 2004, 2005, 2007, 2010 and 2015). Imre secured his 12th title at this 40th British National Championship in a 30-34 game against Iain Barrass (this was Iain Barrass' first Nationals final since 1999). 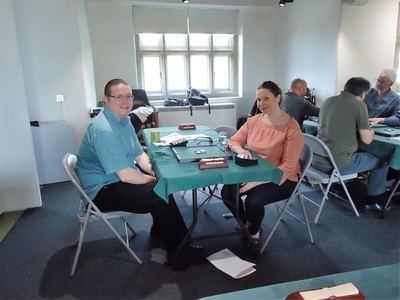 Third place for Guy Plowman who also scored 7/9 but failed to qualify for the final by a hair..
Marie Lightman was the Female Champion since 2013. She failed to score her 4th title in a row as Helen Dexter reclaimed the title she had in 2009, 2010 and 2012. 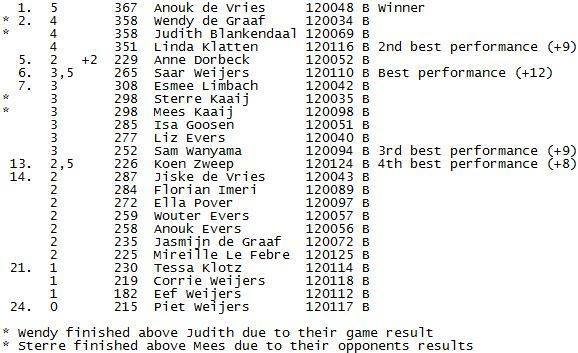 A pitty the ladies did not play a ladies final. That gives the title more status. 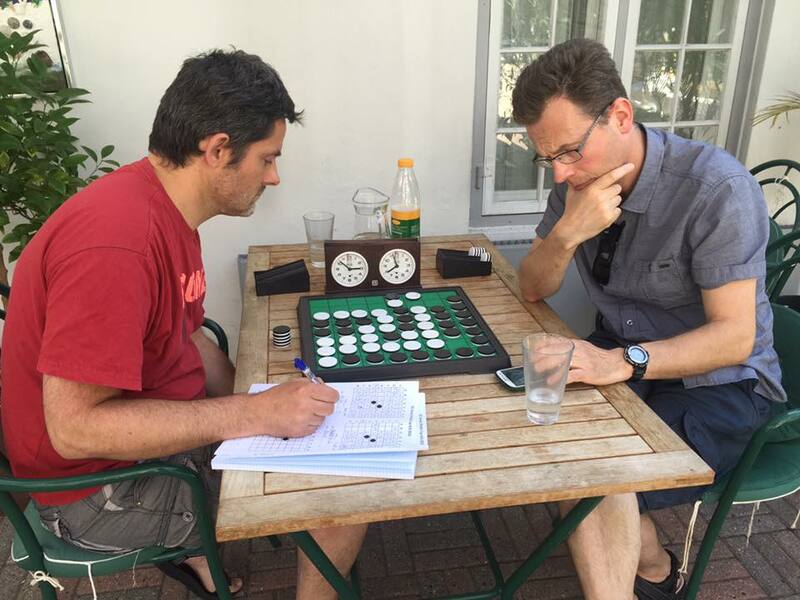 A list of British National Othello Champions since 1977 can be found here. 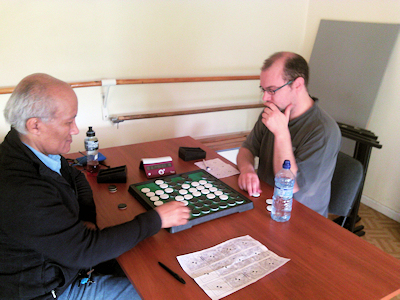 The game started with the Brightwell opening, which is one of Iain's favourites. 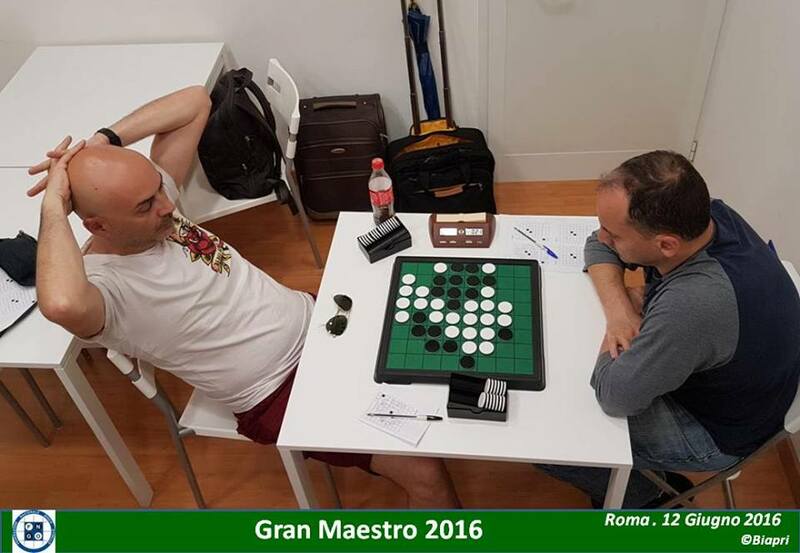 At move 24, my original plan had been to play 24d1 25f1 26d7, with his reply of f7 poisoned. 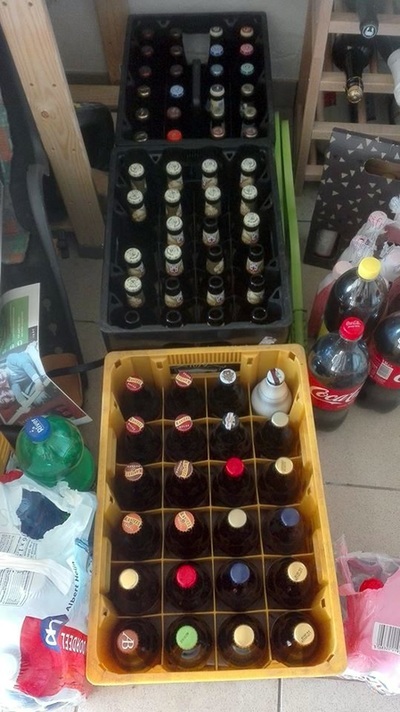 But then I was very afraid of something like 27h5 28h7 29c8! I would then not have access to e8, and I would not want to take the edge with b8 either. Because of this, I thought it was better to give him the 5, with 24b6 25b8, first. But after this pair I realised that his extra move to a5 really was a genuine no-hurt extra move for him, and I was quite unhappy. I was dreaming about a move to b7 (either soon or even after he has played to a5), but it never worked out, unfortunately. 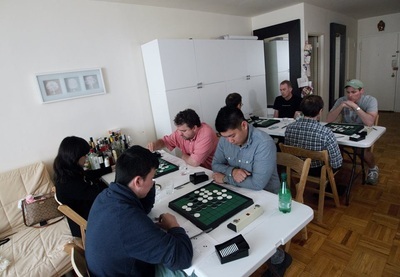 At 26, my initial thought was to play d1, and then if he replies with f1 I can go to d7 and again his f7 is poisoned. But he could just take his a5 move (the one I had made available to him with the b6-b8 pair), and I could not see what to do next. I didn't give f7 much thought (after 26d1 27f1 28d7 29a5), because it seemed to give him too many free moves, but in fact it would have been a way for me to get two tempos out of d7 and f7, so looked at in that clear way it would have been good. I didn't have that clear viewpoint, though, so I set about getting my moves in the North (so starting with 26d7 27f7). 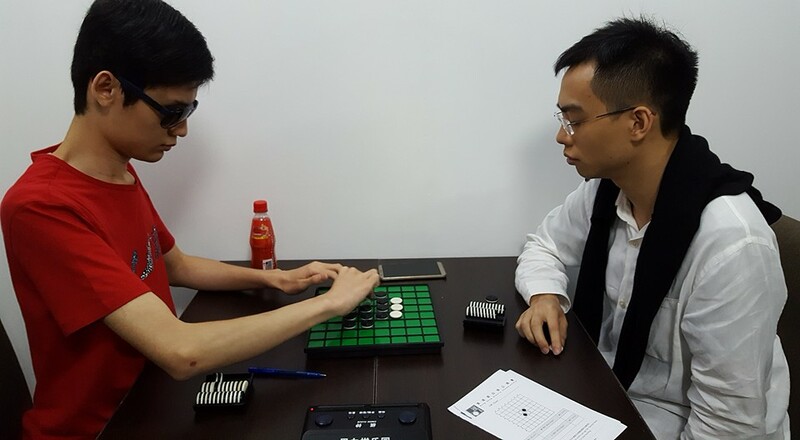 Of course, his lovely g2 move is coming up as soon as we have played out the obvious sequence 28-30. 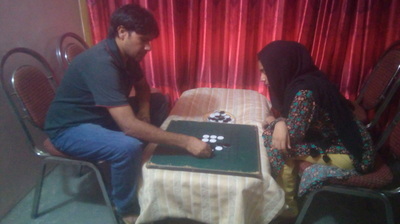 At this point, I was pretty sure I was losing. He is getting so many tempos in that h1 corner region. 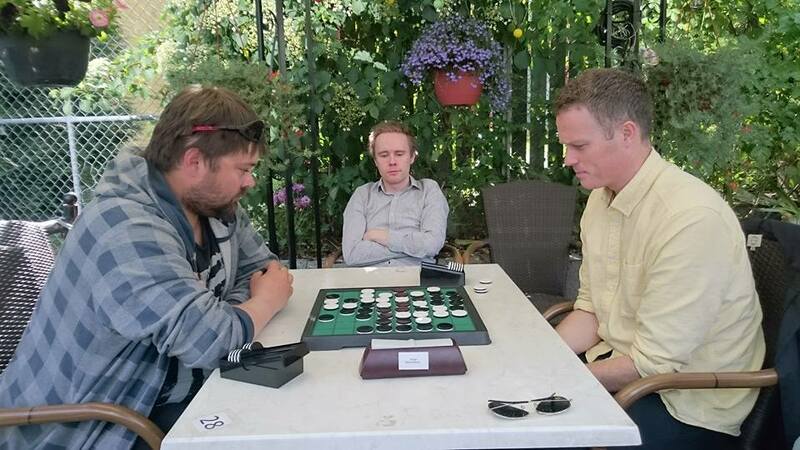 Iain played the next few moves very nicely indeed. Note his excellent timing of e1 and especially f1. It's all about the h1 corner region: will he get to play h2 before I get to h1? 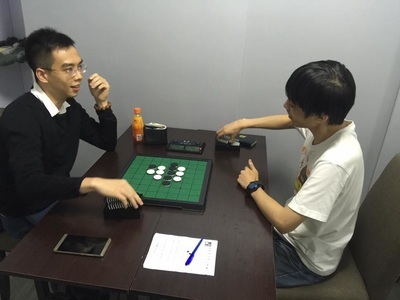 And once he has played h2 will he be able to avoid swindles that make the diagonal all Black (giving me h1 and g1)? But he has made sure that no such bad thing happens to him. 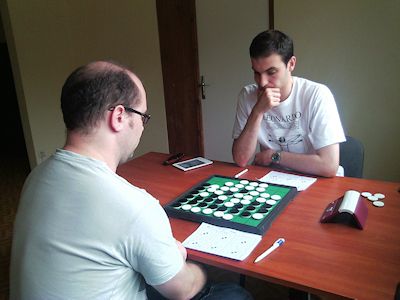 Iain played 43h7 to get parity in the a1 corner region, so that I fill in at b5 (at move 46). 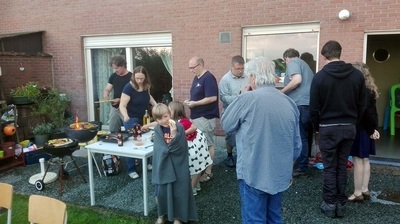 But it seemed that the parity-gaining 47h5 just did not work. This is a fascinating position (after a hypothetical 47h5). 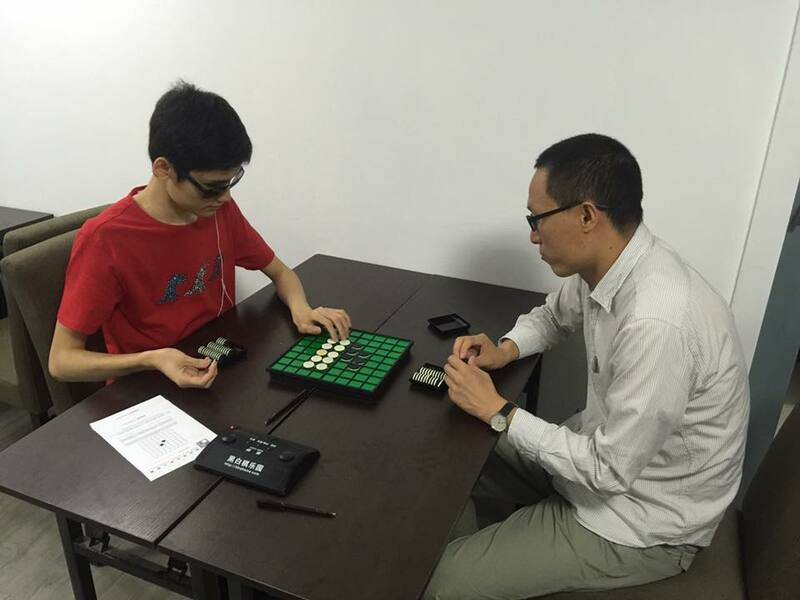 Of course, White cannot reply 48g1, because then 49b7. What about 48b7, trying to keep parity? Then White does end up with both g1 and h1, but he gives Black way too many discs on the opposite part of the board: for example, 49a8 50a7 51b2, and now 52g1 is met by 53a3 while 52a1 is also met by a3! will not result in Black getting the West edge (unless he sacrifices too much), what about reversing the order in the a8 corner region, by playing to a7 instead of to b7 at move 51? Indeed, once one has considered this, it is clearly better (for example, Black keeps the a8-h1 diagonal). This would have led to a Black win. This was a supremely complicated endgame: all of moves 47,48,49,50,51 are game losing! My correct move to g7 at 48 and at 50 is pretty hard to find, as it involves giving up parity. His 49 is findable, as is his 51, but he was very short on time by this point. 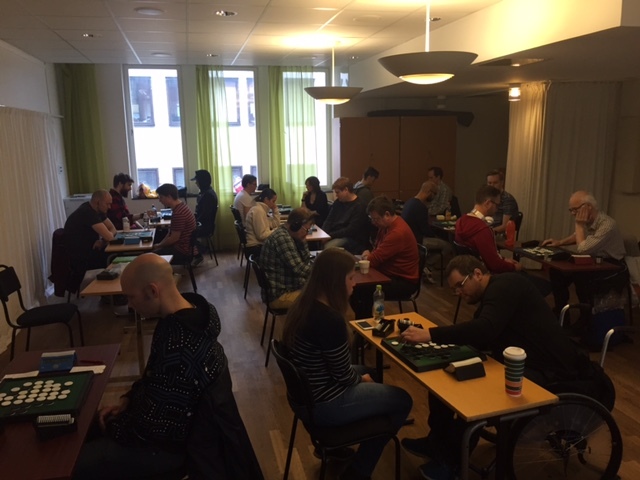 The four semifinalists after the rounds were Kartsen Feldborg, Henrik Vallund Daniel Rignell and Palle Badsted. Karsten and Daniel qualified for the final and Karsten won the final 2-1. 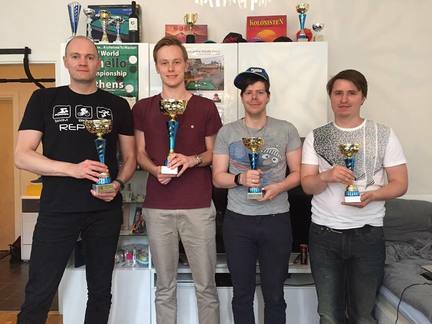 Henrik won the playoff for 3rd place against Palle 2-0.